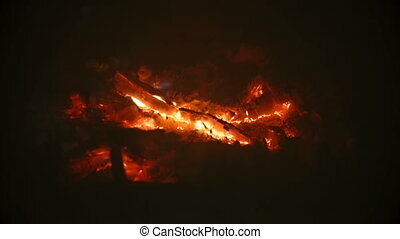 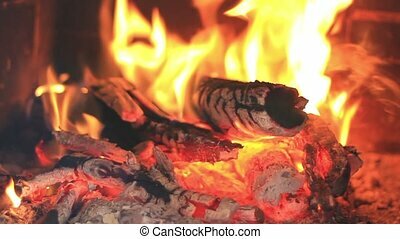 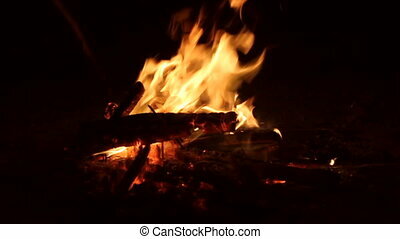 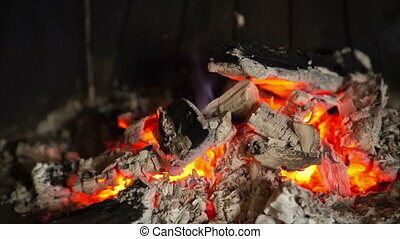 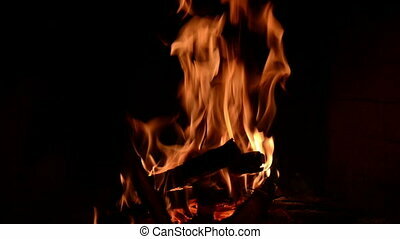 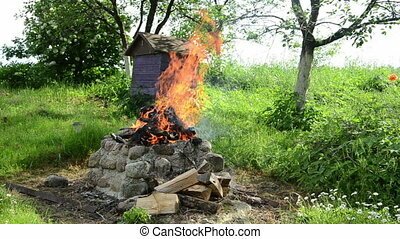 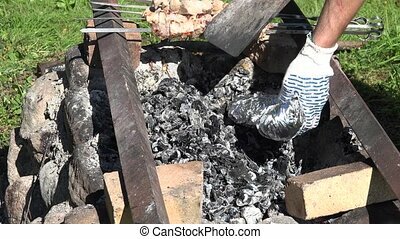 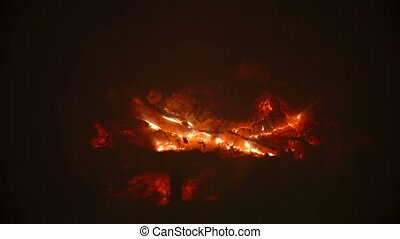 male hand put food wrapped in foil in hot embers fireplace outdoor. 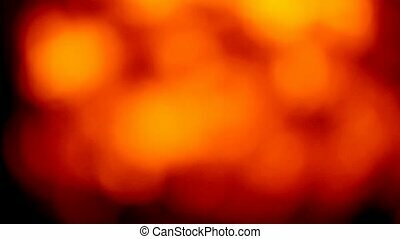 4K UHD video clip. 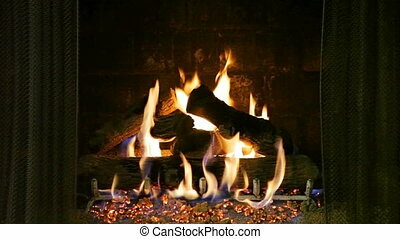 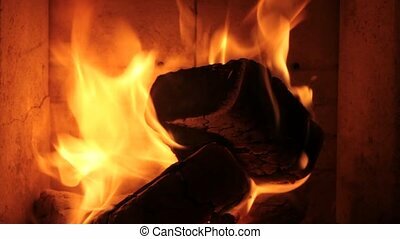 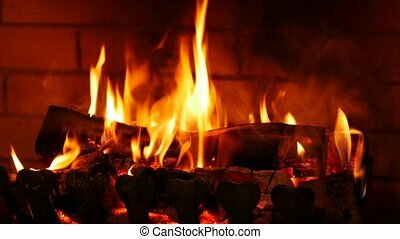 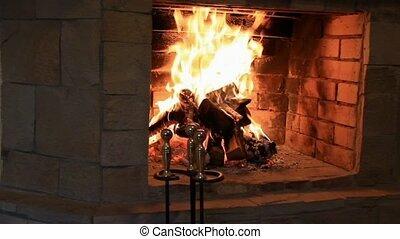 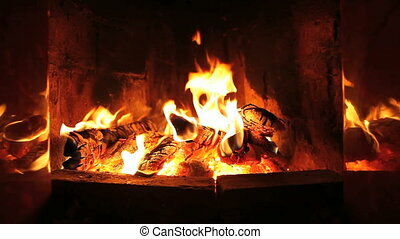 Fire in fireplace, close up. 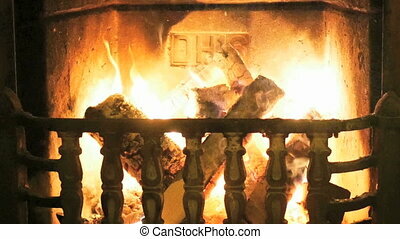 Fireplace, wood burning, close up.